Walking along the Finnforest path which goes from Morokulien (south) to Trysil (north). The path covers a distance of a total of 240 km through the exciting nature of the border line between Norway and Sweden. Culture path; you may walk on the local path of Austmarka and see old places of residence. The path has signs (in Norwegian). You may receive a short discription in English. Forest walking; bring your tent and walk into the deep Finnforest. We provide you with a map and discription of possible roots. You should bring a fishing rod and enjoy the calmness. The Finnforest path is a well known walking path (also check out the Wilderness road). The Finnforest path goes right by us at Solhaug. It goes partly on the Norwegian and the Swedish side of the border. You may either start the trip at our place or end the trip here, or simply drop in for a night or for a meal. You may also go on day trips with Solhaug as a base camp. You may attend a bed & breakfast kind of offer, or you may be independent within the walls of a cabin. The culture path har been created thanks to Østgård og Karterud Outlying field association on Austmarka. The members of the association have cleared the path and provided historical information and knowledge about the residences. Some of the knowledge is provided on signs along the route. The Historical Association on Austmarka have contributed to this work. The path is about 15km until 20 km long. It may be combined with an overnight stop (tent). There are no place of services on the path. You must therefore bring food, tent, etc. The path is connected to the Finnforest path which you may walk on when the culture path ends. Thus, it is possible to enlarge the trip to several days. If you are interested in Forest walk there are plenty room for that. Bring a tent, food, fishing rods, and other equipment, and start the walking into the mysteries of the Finnforest. It is necessary to bring a map and a compass. We will provide the necessary knowledge before the trips start. Please write us some lines if you are interested. What about combining forest walk with canoe paddling? Do not worry about transportation. We take care of that with our minivan. 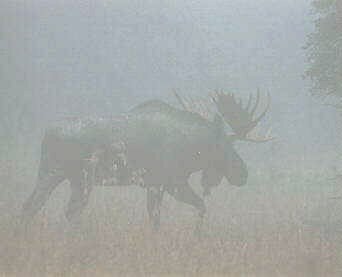 In general, it is necessary to point out that there is moose hunting during some weeks of October. Else, here are some tips provided by travelling in our district (the service is provided by Glåmdal Reiseliv). The terrain is nice for families, but there are a distance between stores, phones, and people. You walk into simplicity, and you walk on your own responsibility. You do nou need any special equipment to walk on the Finnforest path. Use reasonable clothes; e.g. rain jackets, track shoes, or rain boots depending on the season, weather etc. Water in creeks and waters/lakes you may drink. It is clean. The best time for walking is during the periods from June 1. until Oktober 1. In years with little snow, November may show fine. October there are moose hunting. We don not conduct walking then. Please do not pollute the forest. Several hundred owners have shown us their respect by creating the path. Let us show them respect by treating nature as nice as possible! For more information, please contact us on phone; +47 62828727, or mobile phone; +47 95108873. Please write an e-mail to: postkassa@solhaug-kano-fritid.no, or use the "request for information" pages.